Mental health claims encompass all forms of psychiatric diagnoses. 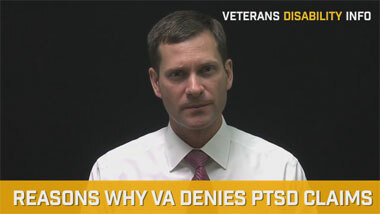 These include situations where VA denies a claim for depression, anxiety, adjustment disorder, bipolar, panic disorder, chronic pain disorder, schizophrenia, schizoaffective disorder, adjustment disorder, delusional disorders and other psychotic disorders. Claims for PTSD also fall under this category. With the exception of PTSD cases, mental health claims will be analyzed under the normal and basic principles for service-connection. Meaning, you must establish 1) an in-service event or occurrence, 2) you must establish a current disability and 3) you must establish a nexus or a link between the in-service occurrence and the present disability. Keep in mind that the VA will require that you establish a current diagnosis in accordance with the DMS-IV. Personality disorders cannot be considered for service-connection. If you have any questions about your mental disability, then consulting with an experienced veterans disability lawyer can help. Perhaps the biggest area right now concerns depression claims that are secondary to service-connected physical or other medical conditions. 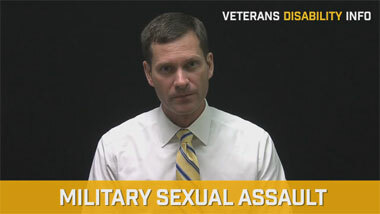 A factional scenario can be one where a Veteran is service-connected for a number of orthopedic problems involving his joints and this produces such a devastating state of chronic pain, that it produces debilitating depression. Usually the more depressed a person feels the more profound their experience of pain, and the more pain the more depression. This can become a viscous circle. Other claims may involve individuals that are diagnosed with bipolar disorder but who were discharged based on having a personality disorder and the issue becomes whether or not the symptoms of personality disorder during service were really just the early signs of bipolar disorder. Usually, people with bipolar disorder have difficulty getting along with others and have difficulty performing within the confines of the strict military culture. Therefore, a forensic analysis must be done to establish the exact onset to the bipolar symptoms. There are also a number of cases involving individuals who received other than honorable discharges and they are seeking service-connection for a mental health disability. 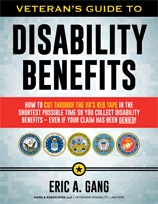 There is an exception to the bar against benefits for individuals who received an other than honorable discharge. That exception involves individuals who are “insane” at the time they committed the offenses that led to their other than honorable discharge. This means that if one can establish that he had a mental disability at the time of service when he committed the offenses, he will be deemed insane for VA purposes and be allowed to obtain DVA benefits even though he did not have the proper character discharge.